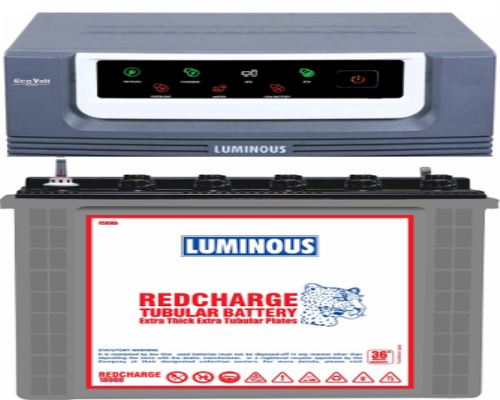 Warranty : ups 2 Years guaranty Battery 18 Months Free +18 Months Pro-Rata"
The Luminous Eco volt 12V-1050VA Home UPS has 1 phase input and 1 phase output and runs on a voltage of 12V. The recommended applications are on sensitive electronics (home theatre, audio system etc. ), motor loads, TV, pc, lights & fans. It is paired with Luminous RC 18000 150ah battery and a cabinet trolley of great utility.